WhatsApp is the most popular communication platform with over one and half a billion user. To increase user, Whatsapp constantly adds new features based on trend and demand. Recently Whatsapp borrowed a new feature from its parent company called Stickers. Using this feature allows you to send stickers in Whatsapp conversations. This is the third feature in this particular category on Whatsapp accompanied by Emoji and GIF. Using Sticker you can good way express your mood or feeling which is not so easy with words or text. According to me, Sticker is emotionally richer when compared to emoticons. If you want to use sticker then you need to download a sticker pack on WhatsApp and all the stickers under that pack are added to your sticker library. But these stickers are pre-determined by their developers. Sometimes you want to create your own photo sticker that very good express yourself. Using Sticker Studio Android App you can create your own photo sticker. 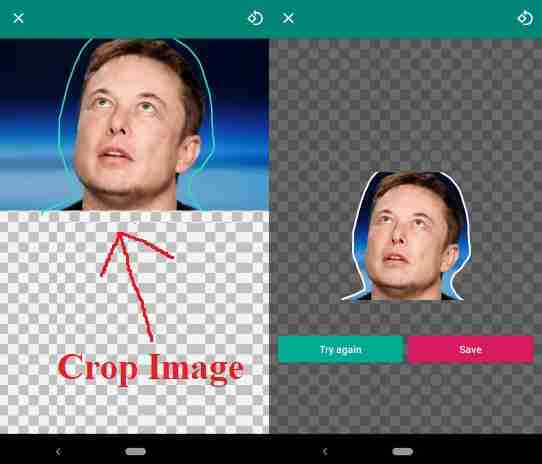 It’s a free Android app that converts photo to Whatsapp sticker. You can create personalized sticker packs with this app and add them to Whatsapp. Note: With this app, you can create up to 10 stickers packs with a maximum of 30 stickers per pack. 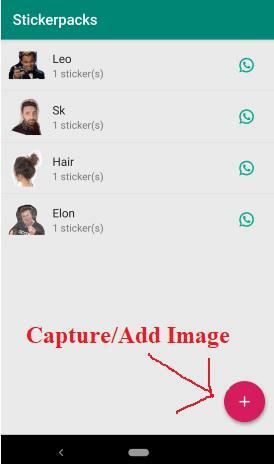 One more thing, you can not add a single sticker to Whatsapp. You need to create a sticker pack with at least 3 stickers in it. Step 1: Download Sticker Studio App From Play Store and Install it. Step 2: Open App. In the main screen of the app, they display all the sticker packs you create. Now Add the photo whose sticker you want to make. You can do that by adding a photo either from your camera or gallery using the “+” button present at the bottom right corner. Step 3: After adding a photo, you can crop out the unwanted segment from it. Once you crop the photo, it asks you to type a name for the sticker pack and creates the sticker pack with that sticker in it. Now Tap to “Save” Button. Step 4: Once you save it. Go to the main screen of the App. They display the sticker that you have created. 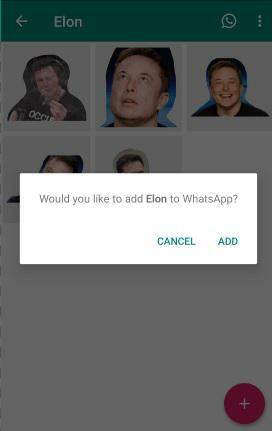 Create a minimum of three stickers to add it to WhatsApp. Once you have 3 or more stickers in your pack, you can add it to Whatsapp by tapping on the Whatsapp icon beside its name. These stickers are exactly like the official Whatsapp stickers not like an image attachment.